Small-group coaching incorporates the GRIT model components of individual coaching, but provides the additional benefit of peer support and accountability. The GRIT (Goals, Responsibility, Initiative, and Tenacity) Seminar consists of groups of 2-3 students who meet weekly, with a the academic coach serving as the group facilitator. Activities include completion of a Weekly Log on which participants record events of the past week (grades earned, resources used, and highs and lows of the week) and an Action Plan for the coming week. Group members share the Weekly Log information with each other and the Coach/Leader. This information serves as a springboard to discussion of related Executive Function skills and learning strategies (e.g. analysis of what worked, didn’t work, next steps, etc.). The GRIT Seminar’s successful track record at VMI led to its adoption by the Air Force ROTC department as a required program for its incoming scholarship cadets. In its first year of implementation, ninety percent of these cadets met the 3.0 grade point average required for continued scholarship eligibility, compared to less than fifty percent in prior years. 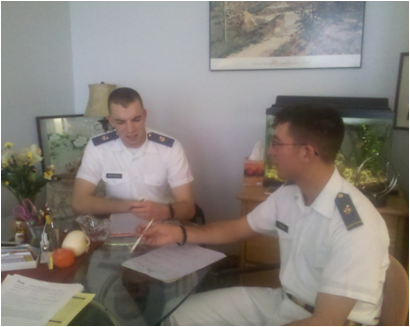 Other ROTC departments subsequently added the GRIT program requirement for its incoming scholarship cadets. Based on positive data on grades and feedback from its students, Washington and Lee University contracted with Anna Crockett to provide the GRIT Seminar to First -Year Students.